Just a quick post to share some news: BELOW is coming to Xbox One & Steam this summer! Alongside the news, we have a new trailer to share. Make sure to give it a watch. 23.12.15HAPPY HOLIDAYS + A YEAR IN REVIEW! Please, take a seat. Relax. Keep warm by the fire, and enjoy this long vignette as you celebrate your holidays. If you want a version that seamlessly loops for ultimate warmth and relaxation, get it here. And while we’re already celebrating the holidays, lets also look back on the numerous cool things that Capy did in the year 2015. 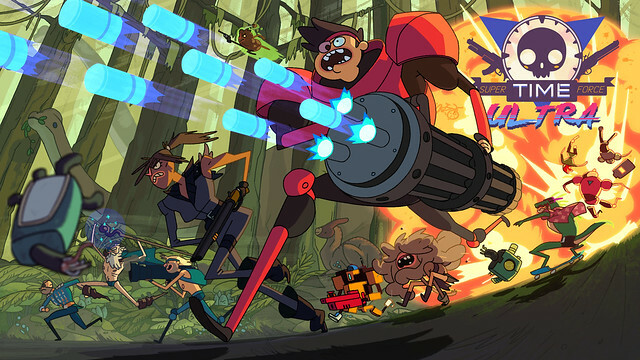 2015 had two big releases for our studio – the first was bringing our time-traveling run’n gun platformer SUPER TIME FORCE ULTRA to PS4 & VITA. And as a special treat for our Sony fans, we included three PlayStation exclusive characters: Sir Galahad from The Order: 1866, the nameless traveler from Journey, and none other than President of Sony Worldwide Studios himself, Shuhei Yoshida. Thanks to RAD & thatgamecompany for letting us use their characters, Yoshida-san for letting us turn him into a Time Force character, and SCEA for helping us out throughout development & release. While we were at it, we teamed up with our close friends at Klei Entertainment to create a Capy-made expansion for their mega-hit game Don’t Starve, called Don’t Starve: Shipwrecked. We had a blast making it, and still are, as the expansion released in Early Access just a few weeks ago on December 1st. Working with Klei was amazing, and making our own take on Don’t Starve was a genuinely fun and unique challenge. Thanks for trusting us, Klei… and thanks to all the fans that are playing it! While releasing a couple awesome games was certainly a highlight, perhaps the biggest highlight from 2015 was our studios 10 year anniversary. From the smallest of roots planted in 2003, to officially opening our doors in 2005, to being able to create our own games our own way… Capy has been one heck of a roller-coaster. We’re tremendously proud, and we’re also very aware that we never could have done it without the utterly fantastic team of people we work with. 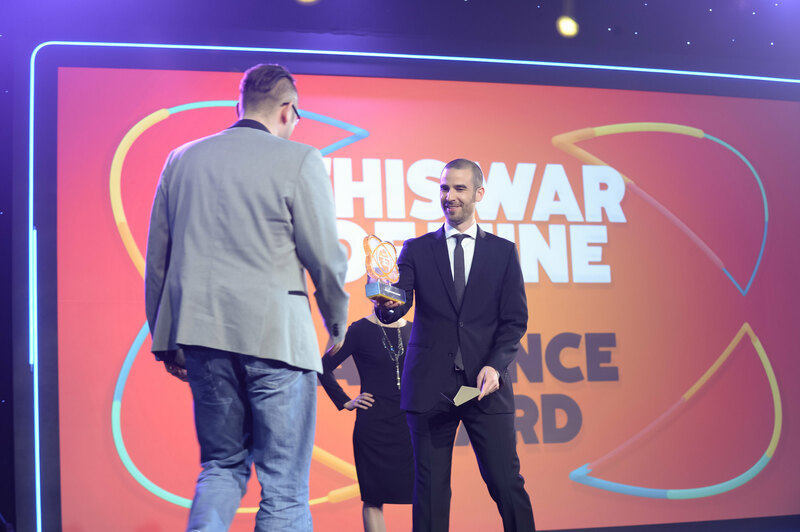 Oh, and our president Nathan Vella hosted the IGF Awards for the second year in a row, and managed not to shame himself or our studio. In fact, he did a pretty good job reminding our industry to care for one another. We also managed to sneak in showing our games at a bunch of cool places, including E3, PAX, XOXO, and Day of the Devs. Huge thanks to all our fans for supporting us. We’re really looking forward to 2016, which will (finally) see the release of BELOW, the full release of Don’t Starve: Shipwrecked, and perhaps some other cool things! HAPPY HOLIDAYS FROM ALL OF US AT CAPY! 01.12.15DON’T STARVE: SHIPWRECKED HITS EARLY ACCESS! For the last year, we’ve been hard at work creating a new expansion for the mega-cool Don’t Starve, called Don’t Starve: Shipwrecked. Today, it’s available on Steam Early Access! BUY IT ON STEAM HERE! With new playable characters, unique biomes, crazy creatures and seasonal effects; Wilson and the whole Don’t Starve cast of characters embark on a sea-bound journey of exploration, adaptation and of course, starvation. What started as a friendly discussion between us and our close Canadian pals Klei Entertainment spawned a new challenge for our studio – make something amazing in our friends’ universe. We’re super proud of the result, and we can’t wait for all the Don’t Starve fans to dig in… and help us make it better throughout the rest of Early Access development. SUPER TIME FORCE ULTRA is out now on PS4 & PSVITA. Travel through time, explode robots, save the world, repeat. Download it now on the PlayStation Store! Team up with 19 characters, including Sony Worldwide Studio President Shuhei Yoshida, the traveler from Journey & Sir Galahad from The Order: 1886… along with a skateboard riding dinosaur and a machine-gun toting dolphin and a bald guy with two eye patches. And did we mention it is Cross-buy! And it has a Platinum Trophy! Also it has time travel! 24.08.15STFU PS4 + VITA launching SEPT 1st on PS Plus! Super Time Force ULTRA is coming to PlayStation 4 & PlayStation Vita on September 1st! That’s NEXT WEEK!!! And not only that, but it’s going to be *FREE* for PS Plus members! And it’s cross-buy! Now you can obliterate Time and/or Space… on yer toilet! Also, in yer bath? PS: Enjoy this sweet-as-heck STFU PS4 wallpaper, by Kelly Smith! 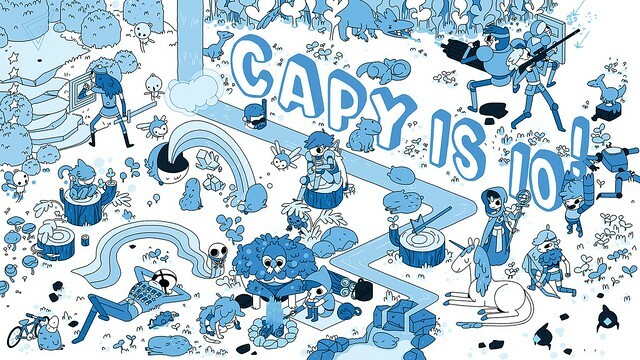 Thank you all for the years of love and support, CAPY fans! Celebrate with us via this crazy CAPY BUNDLE we just launched on Steam, featuring SUPER TIME FORCE ULTRA, Sworcery, Clash of Heroes and Critter Crunch! Here’s to 10 more years of videogaming goodness!